NDA 1 2017 exam was conducted on 23rd April 2017 by UPSC. Nearly 3 lakh candidates attended the exam to enter the prestigious organization of National Defence Academy and Naval Academy. Out of the 3 lakh candidates, only around 300 candidates will make it to the NDA Training in Khadakwasla, Pune. 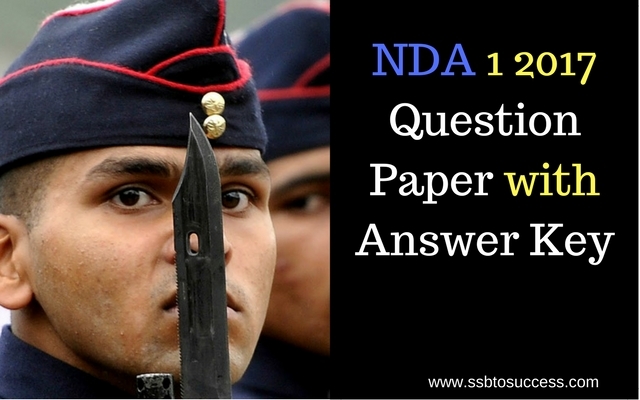 Candidates who are waiting for the NDA 1 2017 Solved Question Paper can check this post for the update. The mathematical exam is based on the syllabus of 11th and 12th class based on CBSE or NCERT Text Books pattern. Syllabus for the mathematics exam is completely based on 10th to 12th class Maths syllabus textbooks (all in a very simple manner). The exam was an objective type with four selections to choose from. Total time for mathematics exam is 2 hours 30 mins. The exam encompasses total 300 to score. General Ability Exam is completely based on your English skills and Current Affairs that includes geographical, historical, politics and science questions. This is also an objective type exam wi4 options following each question. The time duration for General Ability exam also is 2 hours and 30 mins each with maximum 600 marks.